Donal from Greenway Waterford Bike Hire returns to the school next Tuesday for 4 weeks of cycle training and road safety awareness for 3rd to 6th class. The last cycling and road safety lesson took place this week with Donal of Greenway Waterford Bike Hire for 3rd to 6th class. Infants also got a chance to use balance bikes to start them off on developing their balance and cycling skills. Thanks to Donal for the excellent lessons. 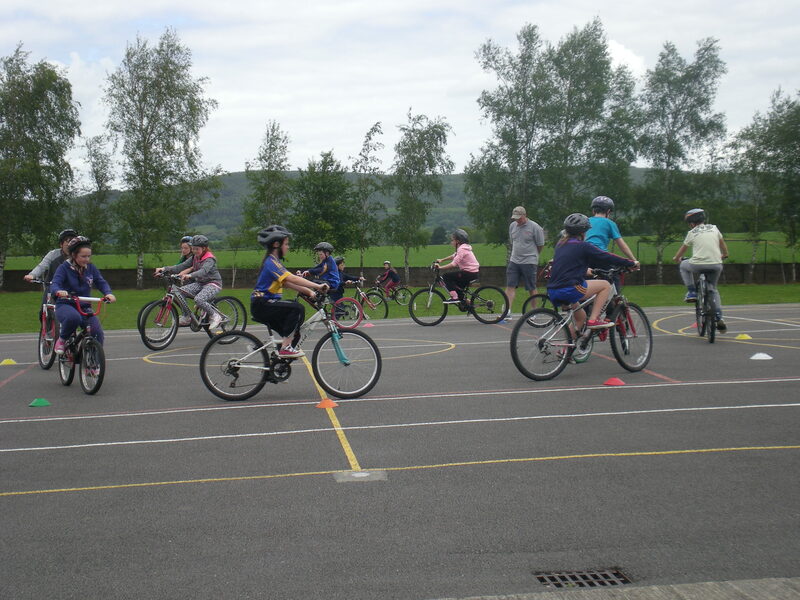 Cycling lessons and road safety skills start on the 18th May and run until the last week of term for 3rd to 6th classes. Cycling for 3rd to 6th classes is now taking place in the school in the run up to the end of term. Children are learning skills that will keep them safe on the road.